A little over a month ago a source informed me that the name of Patrick Dempsey's character in Transformers 3 was Dylan. 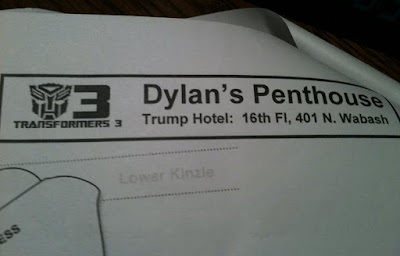 Now, a source has provided proof from a call sheet page from Chicago labeled "Dylan's Penthouse" which was part of the reason for the filming that occurred at the Trump Hotel. The sheet showed a schematic of the home which did include a patio. 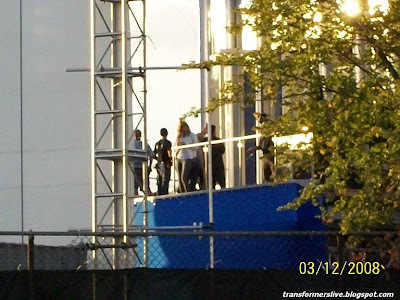 Photos and video from the Detroit set show "Sam" and "Carly" as they jump to (or from) a patio facade to Transformers-ish object. 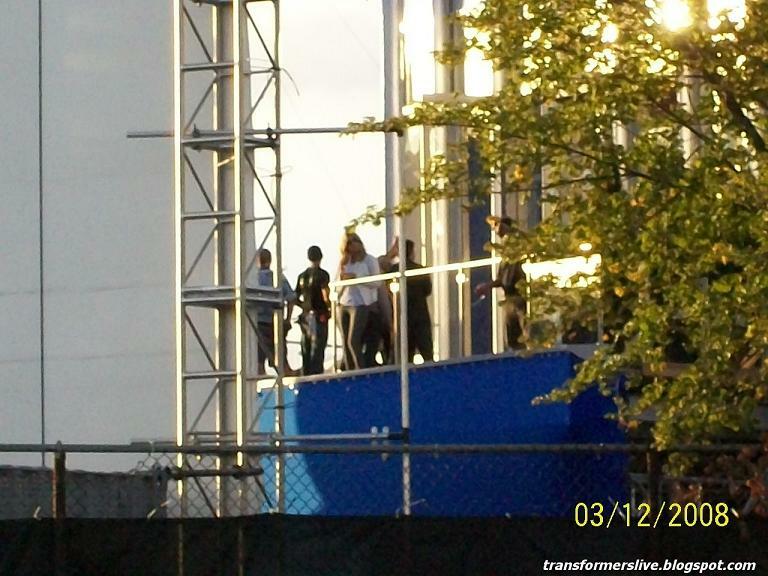 They also showed "Dylan" hanging around another building facade. 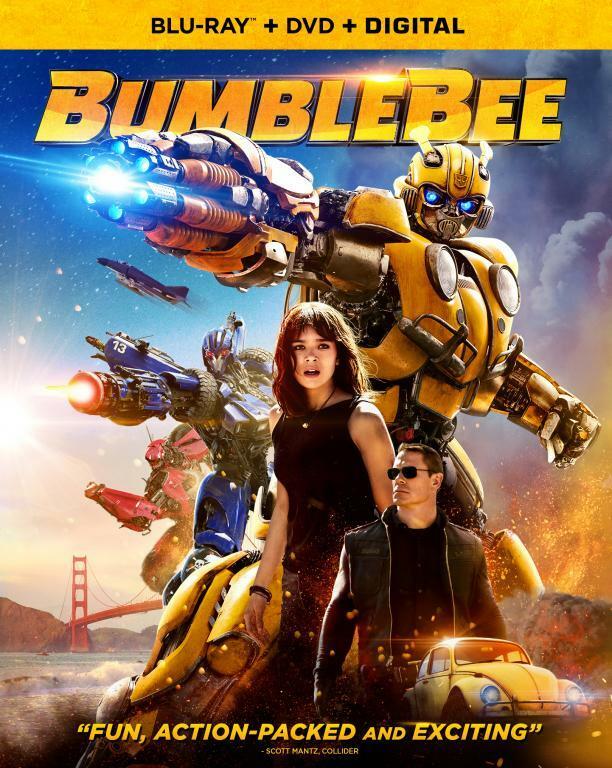 Makes you wonder if part of the purpose of the blue screen isn't just for completing the CGI look of the probable Transformer but to also merge scenes filmed at the "penthouse" with the Detroit footage. 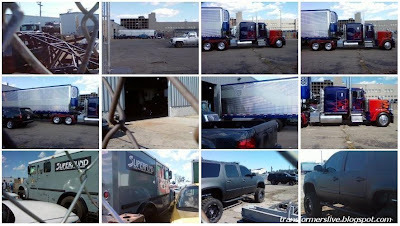 Also, below are more images from that day thanks to Surge29. 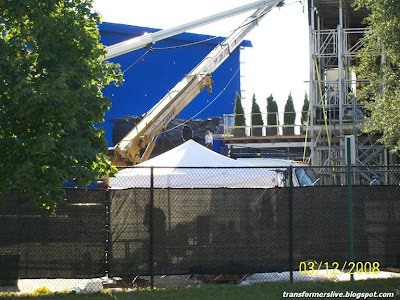 They show more of the object and building facade filming along with a look at some of the TF vehicles. For the last pic, it is basically a screenshot from my email as for whatever reason the email format was determined to only show the pictures as thumbnails and I couldn't download the full images. Surge29 also tried to get a look at what was being stored in a building but turned away by security. Does make you wonder what goodies we have not seen yet. 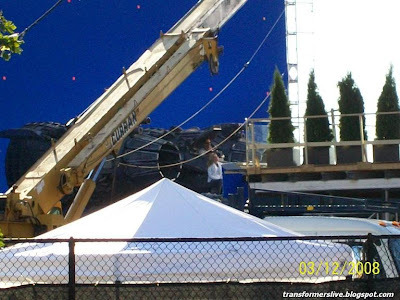 Is that a dent in Optimus Primes sleeper? I was going to say its just a reflection, but it looks the same in all three pictures. Lets just hope thats not the "hero car." I thought they kept extra replicas of each character, so they could take some abuse and still have one that looks perfect. Ok something tells me that Sam and Carly jump to that ship/Plane. Thats not a bad guy, its a good guy that flew up to save them, and Same is fighting off a Rumble type character from Soundwave. 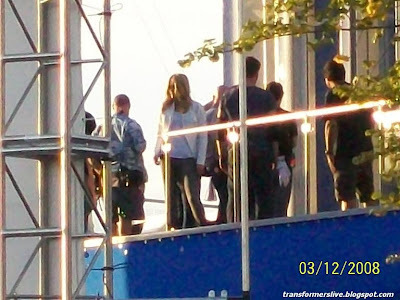 Its not like they are jumping away from the ship. If it were a bad guy, would you jump on it if you knew you could not beat it with your bare hands? My dorky opinion. Silverbolt(they said he was in the movie someplace) in Protoform. And that guys comments about that being the bad guy big introduction, its not true. I hope no is strating to believe that it turret-like thing is part of Shockwave. Two examples. Color looks excatly same than Shockwave's head color in face stick seen in Chicago. Another hint: that thing is too big to be Soundwave. Even bigger than Megatron. Dang, I hope they do something with that dent. I hate seeing prime wrecked up. At least wrecked up in his alt form. That's like the equivelant of seeing the camaro or corvette driving around all screwed up. Realistically speaking it wouldn't make sense to see some banged up bots transforming to pristine vehicles, but still that's just messed up. To Anonymous 9/17/2010 1:26 AM, if you mean Omega Supreme, I don't think so. Omega Supreme would be much more bigger. 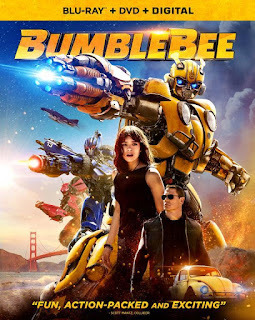 And besides why would Bay put any Autobot on that size into this movie? This thing (If its just a hand or gun) means the full robot is larger than Devastator. Black or Dark color scheme is normally used for Decepticons so its probably not Omega Supreme. If you watch the video where it looks like Sam is wrestling a bot, the gimble holding the "ship" or whatever it is spins around (fairly quickly) which leads me to believe it's not an "arm" or body part of a larger robot. 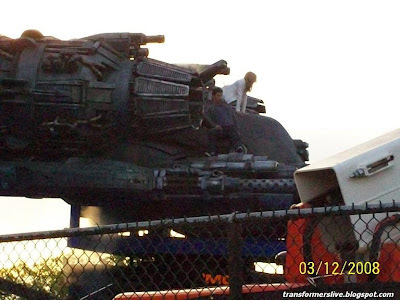 I still think the mock-up is the body of a robot that is about Megatron-size. The jet engines look familiar. I've seen those before, not Transformers related. Earlier on we thought Silverbolt could be a possibilty, cause of the Jetlike parts, but like Scorpio said, clearly this bot is a bit larger than Devastator, it's more likely to be Superion!!! And since this has to be an Autobot, I doubt it's the bot that tips the building, maybe it gets attacked by Decepticons, that it falls against the building. 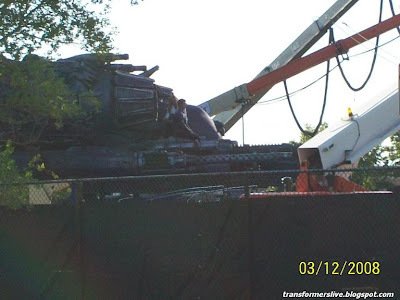 Or maybe we have Decepticon just as big? Oh the guessing....can't wait for the first teaser/trailer!!! Same here. I think i can guess how the trailer will end though. A building explodes, the screen fades to black, we slowly see Shockwave`s eye appear followed by his face. Then that fades revealing the film title.